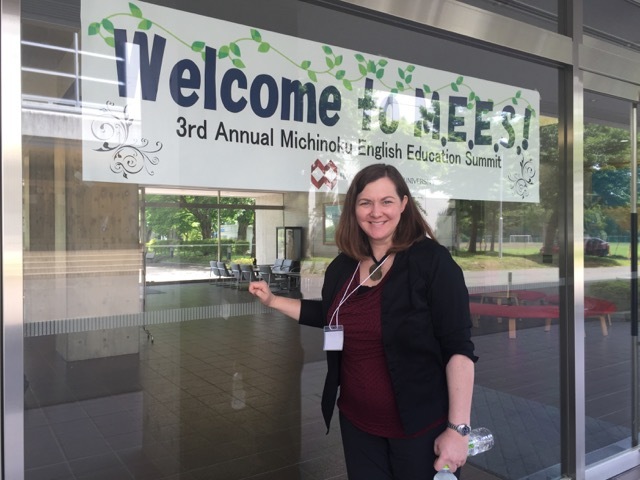 Thank you to the organizers of the third annual MEES conference for inviting me as their plenary speaker. It was my first time to visit Hachinohe in Aomori prefecture. 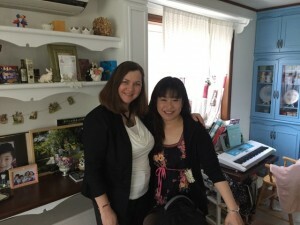 I had a wonderful time and met a lot of great teachers. After agreeing to speak at the conference and working on presentation ideas, it suddenly dawned on me that I had no idea where Hachinohe actually was or how to get there! 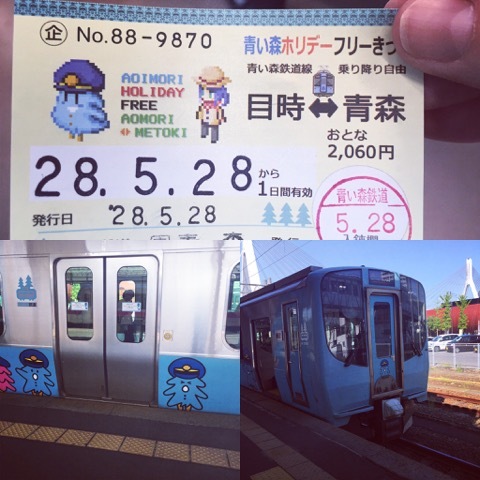 It wasn’t too bad of a trip; I flew to Aomori from the old Nagoya airport and then took an adorable local train called the Aormori Testudo. The first night there was a banquet and I got the chance to try a Hachinohe specialty called Senbeijiru. 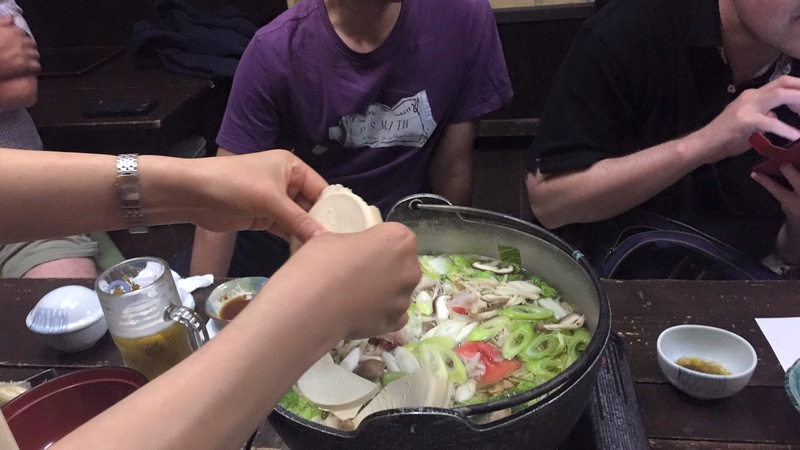 It’s like a regular nabe soup, but rice crackers are broken into it. It was really delicious! I love trying local dishes, so I was happy to discover that I could buy senbeijiru instant ramen to take home as a souvenir. The next day the conference was at Hachinohe Gakuin. 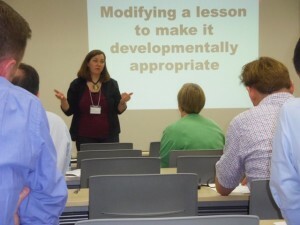 I gave a presentation on developmentally inappropriate teaching practices I’ve come across, such as forcing three-year-olds to write, having very young students take English proficiency tests designed for adults, having young returnees study out of adult textbooks, or insisting young students have competency in English grammar rules that a native speaking child of the same age would not have yet mastered. Inappropriate practices can also be found when older children have to study lessons that contain childish fairy tales or nursery rhymes. Lessons, materials, and practices can easily be made appropriate with a few adjustments. Three year olds can learn letter shapes using Montessori sand letters. Young students can take internationally recognized tests designed for children, such as the YLE or YLTE. Teachers can educate themselves on what childcare experts say children are capable of at each stage of their life. If you’d like more information, please take a look at the front page of my handout. My presentation was first, so the rest of the day I was able to relax and enjoy watching everyone else present. Two very interesting presentations were on using popular culture to motivate students – one on creating mock TOEIC questions from GLEE episodes and another on using popular songs (I had no idea Justin Beiber songs were so perfect for low level EFL students) and video game characters to spice up lessons. After I said good-bye to everyone at the station, I rode the Hayabusa Shinkansen to Aomori to meet an old friend of mine. She was our secretary long ago at Sunrise English School and we recently reconnected on Facebook. It was great to see her after all these years and talk about her new career as an English teacher! Aomori is a great place and I hope to go back someday when I have time to just sightsee (and eat some more senbeijiru).